This year for Halloween, I decided I wanted to do some sort of total transformation. In previous years, I found myself falling back on my usual Pippi Longstocking costume-perpetuated by my huge closet full of red striped clothing. I just had to put on my usual clothes, and run a coathanger through my pigtail braids. This year, however, for the first time I found myself with hair too short to pull this trick off. 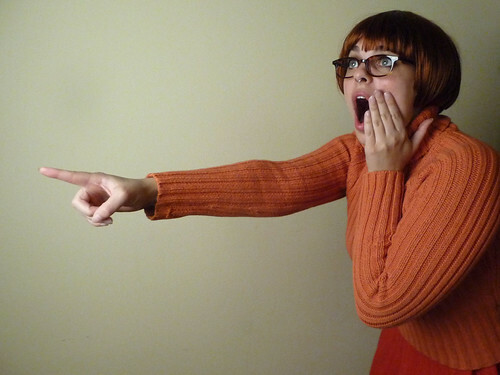 A few months back I had bought this red wig, and at the time I immediately thought of Velma Dinkley, from Scooby Doo. 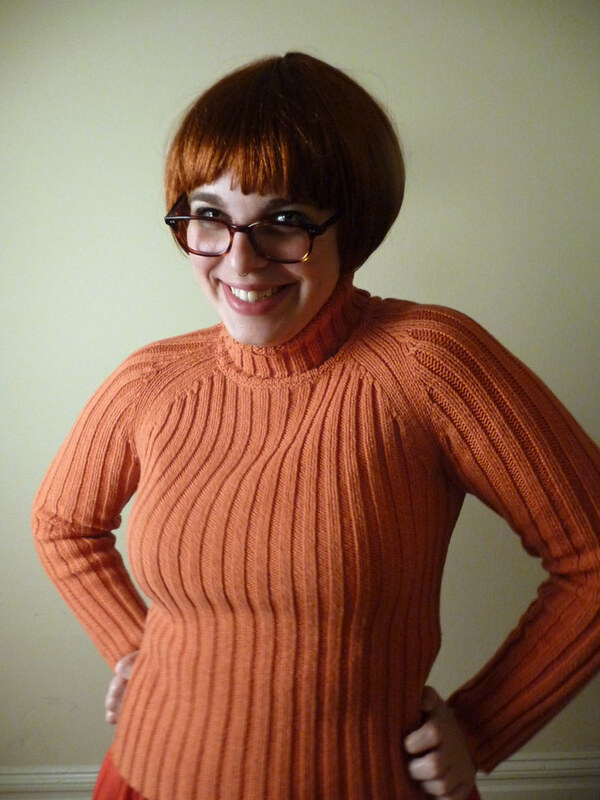 Coming through my closet I happened upon the wig & immediately knew what I was going to be. 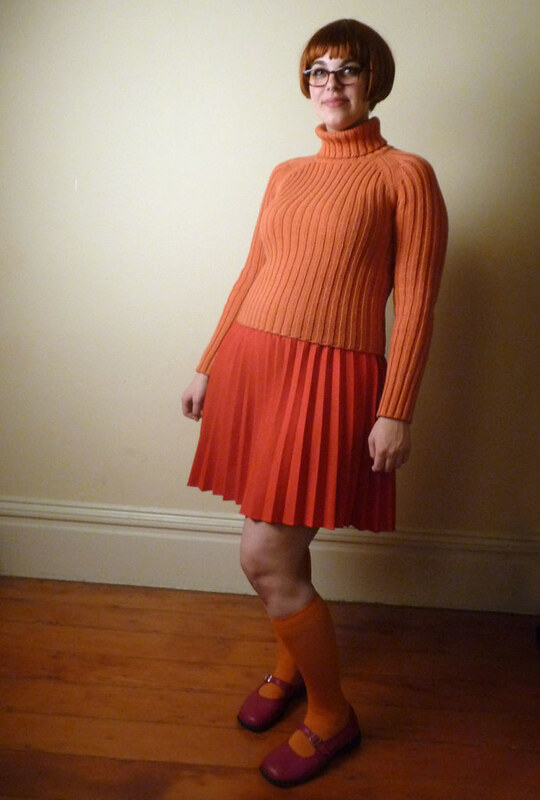 Special thanks to Melinda and Tim for helping me locate an Orange turtleneck on short notice! This costume is just tooooo good. Hey, I noticed that your menu link for News (http://thisisstar.com/blog/) is throwing a 404, just so you know. Thanks for letting me know about the 404! I think my most recent upgrade to wordpress may have broken it. SONOFAGUN. you look absolutely puuuuurfect. Loveddd your outfit. I have a hard time figuring out what I want to be for Halloween and then get mad when I can’t figure it out by the time Halloween strikes, but you dear, you looked GREAT! Jeffers! I miss you so. I’m sure there’s a lot to catch up on.